This detailed guide contains a complete Easter Egg walkthrough for the Classified zombies map in Black Ops 4. Together with full step by step instructions, you'll find map locations, puzzle solutions and screenshots to help you solve the main EE quest and unlock the ending cutscene. 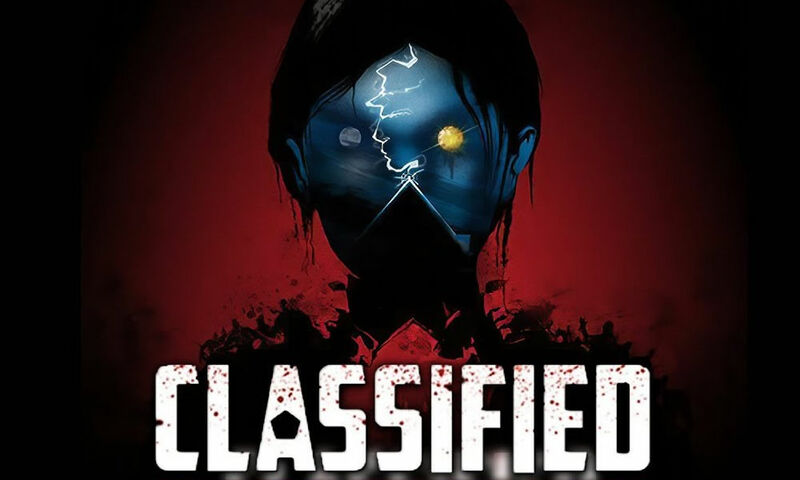 Classified is a remake of the popular Black Ops zombies map called "Five" that was set inside the Pentagon. The map was originally one of two base maps included with the BLOPS game but with the launch of Black Ops 4, the Classified map is only available to those who have purchased the Black Ops Pass (essentially the Season Pass). Contrary to Blood of the Dead, the layout of the Classified map has only changed slightly from the original. Returning players will easily remember the majority of the map from Five but will notice extra debris, a new PaP location and a slightly larger underground section of the facility. Unlike the original Five map, Classified also contains an extensive Easter Egg and an ending cutscene. This guide will help you complete this EE and unlock the ending for yourself. 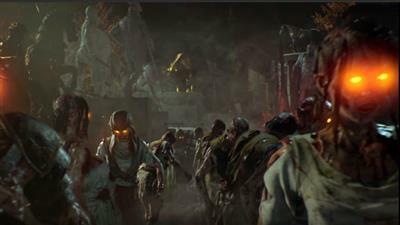 Unlike the other more extensive maps in Black Ops 4, the Classified Easter Egg is a rather linear affair and as usual the final reward for completing the EE is a final cutscene. To complete the Classified Easter Egg simply progress to Round 150. Round 150 is a pretty tough ask but when combined with the current bluescreen glitches it's almost impossible. The only way to currently reach round 150 is to turn on Cartoon Mode thereby reducing the likelihood of crashing the game. Next, go into the basement lab area and head to the Weapon Testing room. Use the workbench to assemble the parts into the "Teleporter Signal Amplifier". Head back upstairs to the War Room Lower Level. Place the signal amplifier on the floor, beside the teleporter you took to the Panic Room. Activate all five Def Con switches again and take the new spinning PaP teleporter to Groom Lake (Area 51) on the Moon. Here is the Pack-a-Punch machine - use it to upgrade your chosen weapon. Make your way down to the War Room Lower level. This circular area is where the Def Con switches are and you'll access it early after taking the elevator downstairs from the offices above. Open the barriers that take you down to the lower level of the War Room and look for the key holder on the wall (see image above). Collect the key and we're ready to move on. There are four locations to find the secret codes. Return to the upstairs area and head into the Main Offices. Look for the desk with the coffee cup and large drawer on the front. Approach and use the key to open the drawer. Take note of the code and the photo of a past zombies map. See the image above for exact location. Get to the secret room that's only accessible after going to Def Con 5 (flick all the Def Con switches in the War Room then use the middle teleporter). Once inside the secret room, take note of the rows of monitors on the left side of the room. Push the bottom row, second from the end TV. It should move to reveal another code - remember this code. In the Deserted Hallway (upstairs) there are various portrait paintings and nameplates along the wall. Use a Pack-a-Punch weapon to reveal a code behind the George Washington nameplate. There's some uncertainty to this step, but the general consensus is that portraits must be shot in sequence to reveal the nameplate e.g. Franklin, Hamilton, Lincoln. If in doubt, shoot all portraits one by one randomly, eventually it should unlock. Take note of the code. 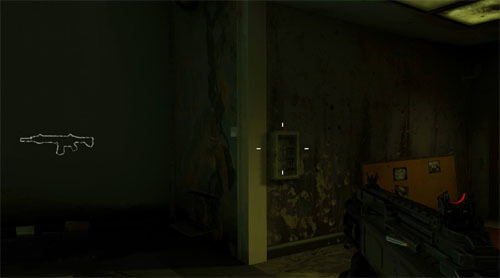 Go to the labs and outside of the target practice room throw a grenade in zombie spawn window over the small canister. Another code should appear on the wall next to the window. Use the teleporter to PaP (Groom Lake) and survive three rounds. A secret area will open to the side, pick up the free Winters Howl.